CAR CRASHED INTO HOME LITTLE GIRL ASK TELL HER DAD SHE WILL DO BADLY FOR PSLE SO SHE CAN CLAIM INSURANCE! 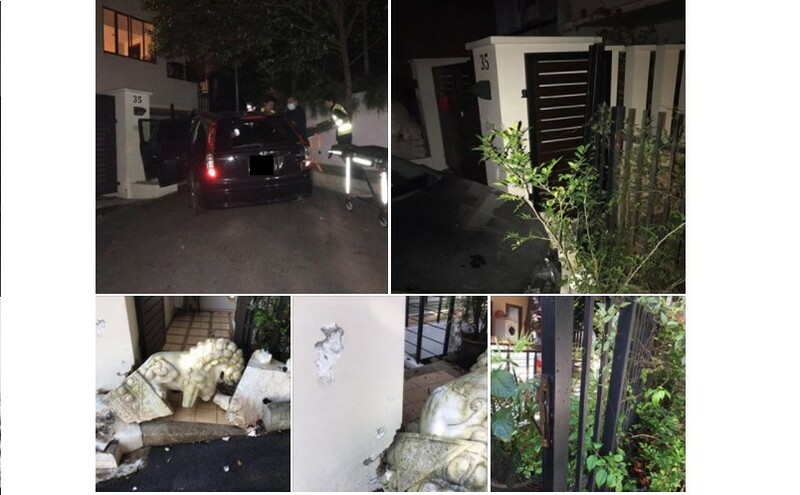 You are at:Home»Caught In The Act»CAR CRASHED INTO HOME LITTLE GIRL ASK TELL HER DAD SHE WILL DO BADLY FOR PSLE SO SHE CAN CLAIM INSURANCE! Ruien: what’s that report for papa? Me: well.. the man isn’t in trouble but we need this police report to claim insurance. Ruien: so why do you need to see the police? Me: so that the police can prove that it really happened. She’s silent for a pretty long time. And she runs back into the police station. I wait outside wondering what she’s up to now. I wait 5 whole minutes… and then I walk in. What on earth is this girl up to? Ruien:”coz WE’RE gonna buy insurance for my PSLE!!! I’ll do badly… and WE GET RICH!! So Mr policeman… you gonna help us? So this is a genuine question? Can we buy insurance for PSLE ah? Previous ArticleBILL GATE HAS WARN THAT BIO-TERRORISM TERROR ATTACK COULD WIPE OUT MILLIONS! Next Article APPEALING FOR WITHNESS/VIDEO RECORDINGS @ JUNCTION OF WOODLADNS CENTRE ROAD! PLEASE HELP TO SHARE!